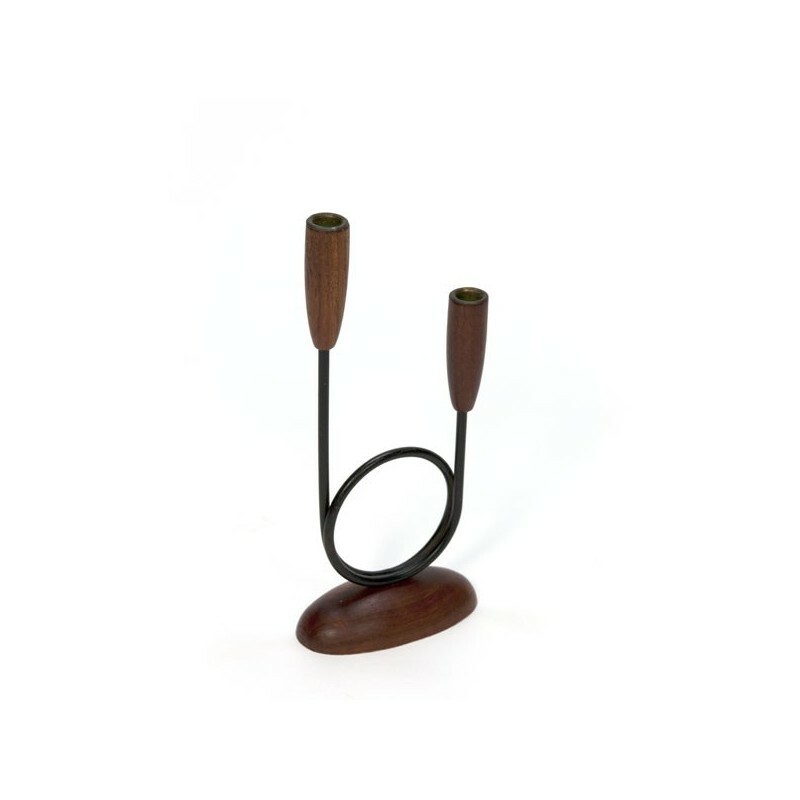 Vintage candleholder from the sixties. 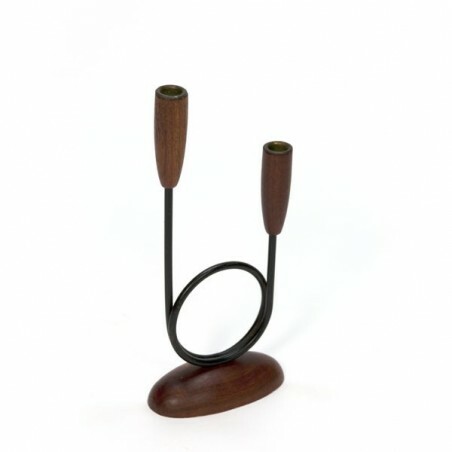 Conducted in bent metal and teak. The condition is good, see detailed pictures. The dimension is 22 cm high and 9 cm wide.